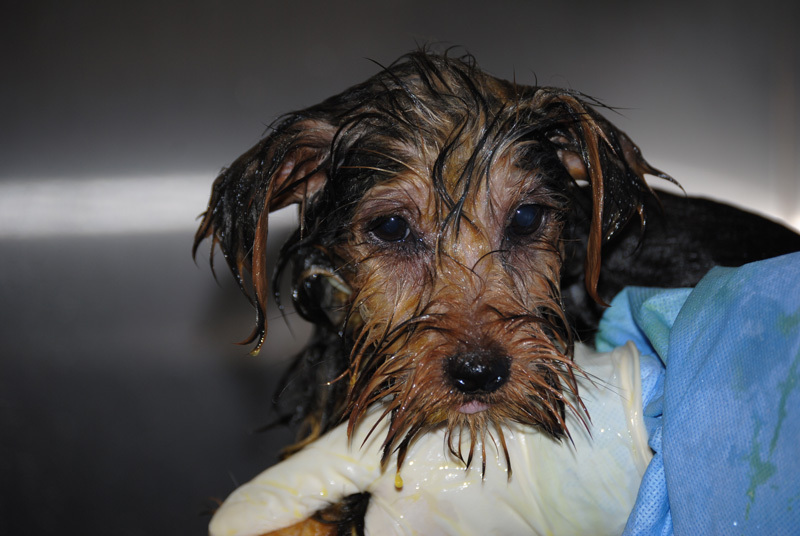 This little pup was one of 14 dogs rescued by the Monterey County SPCA. A woman accused of selling pets under the guise of a rescue organization pled no contest Friday to animal cruelty charges in Salinas. Crystal Kisicki was accused of trying to sell the 17 neglected animals in front of a PetSmart last June. She’ll now spend ten days in jail, three years on probation and pay restitution. She will also be required to follow strict guidelines to keep the three pets she personally owns. Her pets will be microchipped and will be checked by a vet every three months. “Although we are very concerned about her future with animals, it’s comforting that the court ordered progress reports submitted to the court by a licensed verterinarian as part of her probation,” SPCA Humane Investigations Supervisor Stacie McGrady says. Kisicki had started a non-profit rescue called St. Francis All Pets Rescue and Sanctuary, and was attempting to sell the 14 dogs, one kitten and two birds as part of the rescue operation. 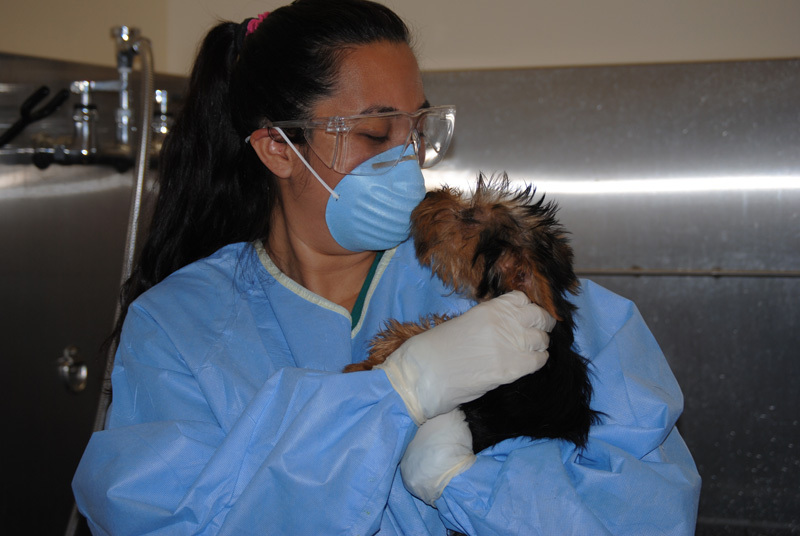 The rescued animals were sick and thin; some had flea infestations and others had skin infections. Their rescue later led the Central California SPCA to recover an 61 additional neglected animals from Kisicki’s rural Fresno County property. 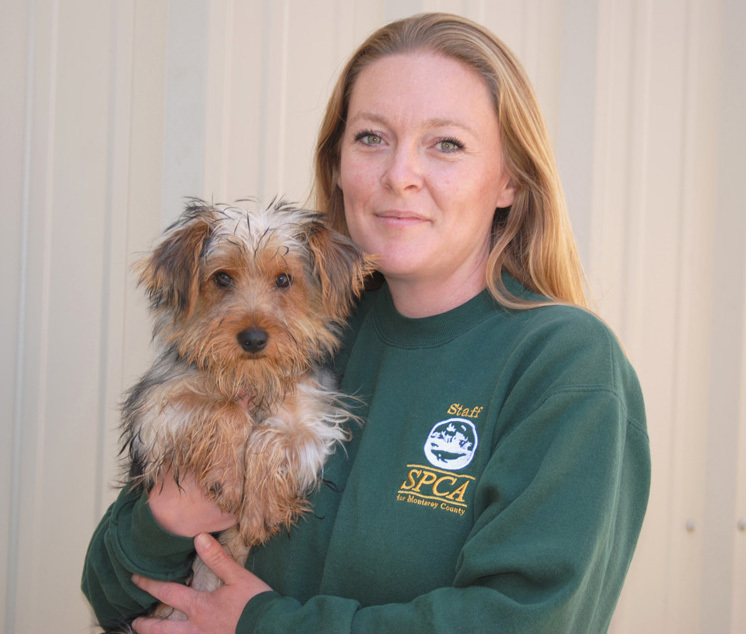 SPCA Shelter Manager Jenny Sherwood with one of the rescued dogs. The Monterey County SPCA operates solely on donations from the public and wants to thank all donors for helping rescue these animals. If you would like to make a contribution, you can do so on their website. This entry was posted in K9 News and tagged animal cruelty, dog rescue, Monterey County, rescue dogs, SPCA by jaqbennett. Bookmark the permalink.